With the increasing number of PS3 peripherals coming out of Sony these days, we get the nasty feeling that anything they lose in future price cuts on the console itself, they'll claw back in must-have add-ons that no one can resist. 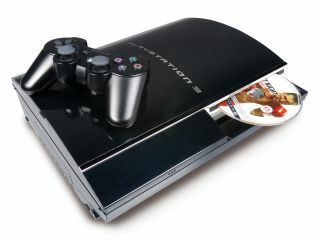 The latest is a solution to the problem of having to leave the PS3 turned on to juice its USB ports for charging wireless Sixaxis or DualShock 3 controllers – a charger on the end of an AC adapter instead. The ¥2,800 (£17) CECHZA 1J (way to go, Sony) will arrive in Japan first, on 18 December, offering two USB ports on one end of the adapter. The latter, of course, plugs into the wall, while the USB ports feed your controllers via the mini USB cables they came with. There's no word yet on a release outside Japan, but it can't be long.